Hello! 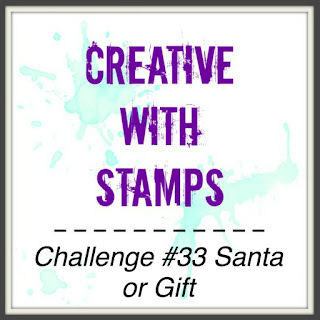 Today I'm sharing my Design Team card for Creative with Stamps # 33 Santa or Gift. 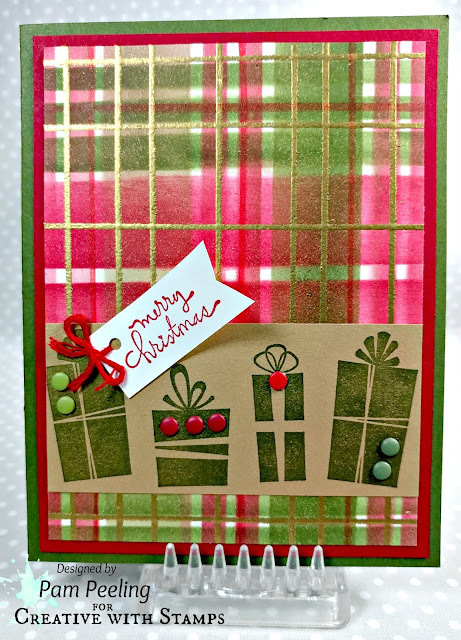 I love Christmas Plaid! I just can't get enough! I used the Club Scrap plaid making stencil from the It's a Plaid, Plaid World Special Edition Collection for the background. 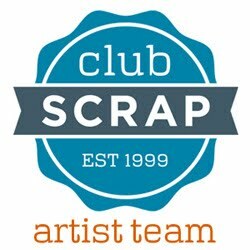 The presents are unmounted rubber stamp images from the Club Scrap Surprise collection. 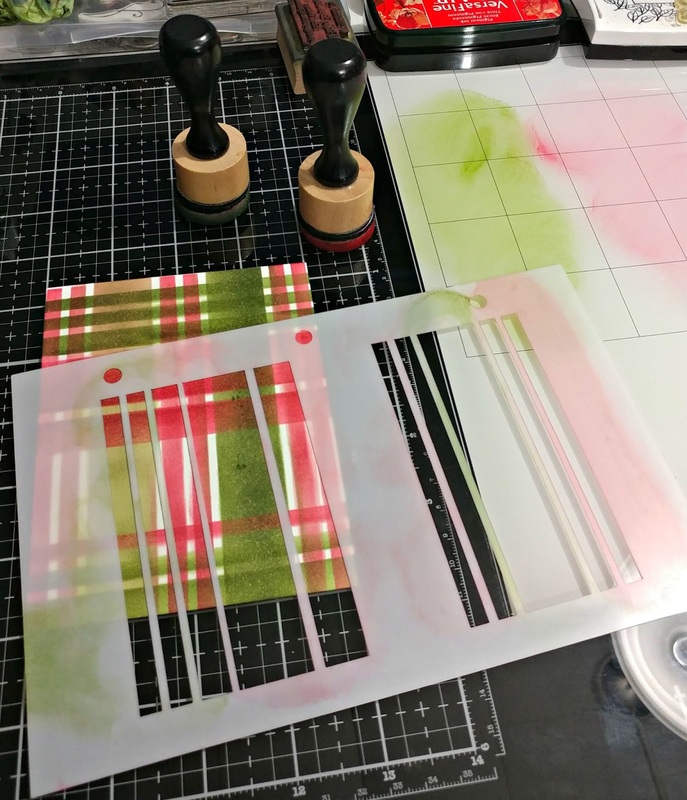 For the background I daubed on red and green stamp pad ink through the stencil. 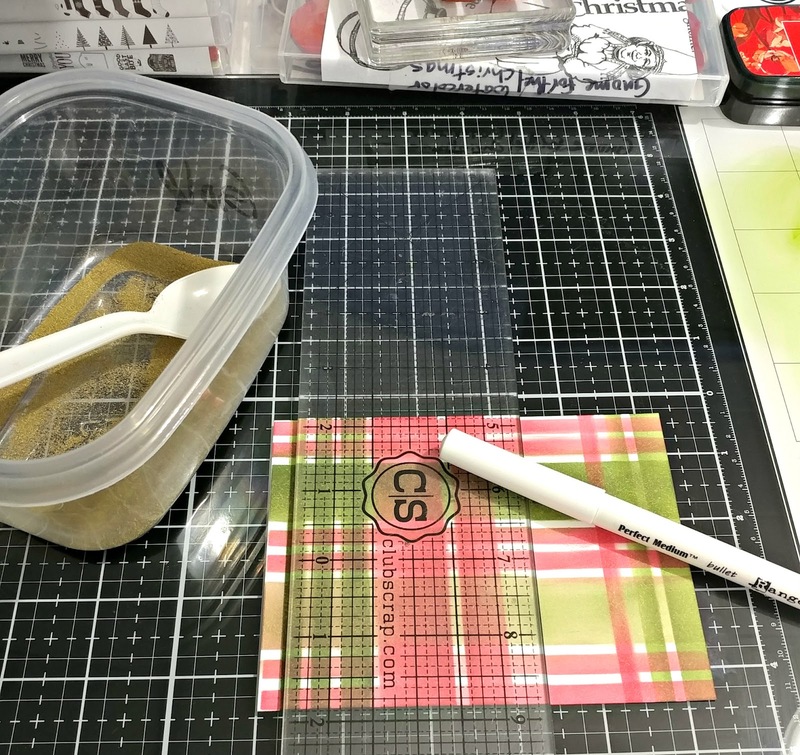 One way and then the other way to get the vertical and horizontal stripes. Now I'll be honest, my 1st few tries didn't come out so great. I really had to take my time and hold the paper and stencil firmly in place. Then I used an embossing pen and drew straight lines across the plaid in regular intervals. I poured on some embossing powder and set with a heat tool. Then I turned the paper 90 degrees and did it again. I used a red Wink of Stella pen to add a few more lines. Voila! 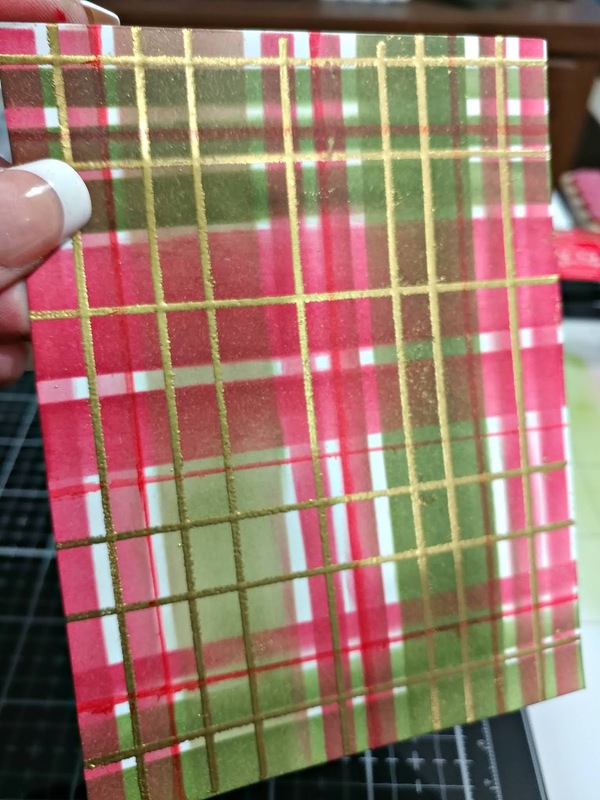 Instant Christmas Plaid! 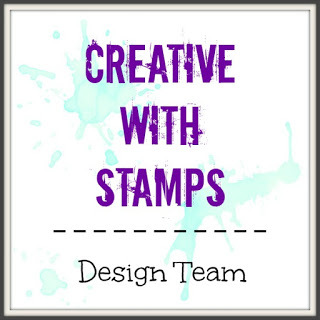 I hope you link up a card of your own at Creative with Stamps! Omigosh, your "plaid" is perfect! What a great background for such a cute card. Your plaid is rad! What a great Christmas card!